The vacuum system adopts a new differential exhaust turbomolecular pump and achieves maximum sensitivity under all conditions for GC analysis. In addition to helium, the system can operate with hydrogen or nitrogen as the carrier gas, which enables operation cost reduction. In addition, the high-sensitivity, high-speed analysis capability shortens analysis times and maximizes laboratory productivity. The GCMS Insight software package dramatically improves the sensitivity and efficiency of multicomponent simultaneous analysis. The Smart SIM method creation program creates methods that provide higher sensitivity in multicomponent analyses. Furthermore, LabSolutions Insight, which significantly shortens data analysis times, dramatically heightens the efficiency of data analysis procedures. Databases are available to match various requirements, including environmental analysis, food analysis, off-flavor analysis, and forensic analysis. All the databases include retention indices, so you can start analysis even without standard samples. The retention indices can also be used to easily create methods for a variety of more accurate qualitative and quantitative analyses. 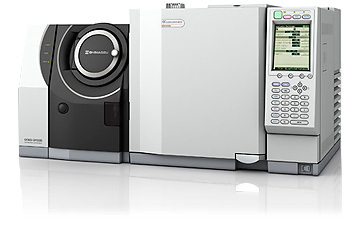 With a sample injection system that matches the sample form and the concentrations of the components being measured, as well as a 2D chromatography system that makes full use of the high-speed scan capability, you can configure optimal analysis systems to suit a variety of your analytical needs. And since all these analysis systems are supported by Shimadzu you can put your mind at ease when using them.